Autonomous vehicles are here! That’s the message from a panel on AI and Transportation I listened to at the International Symposium on Applications of Artificial Intelligence held here at the University of Alberta. Waymo, the Google spin-off, is bringing autonomous taxis to Phoenix this fall. 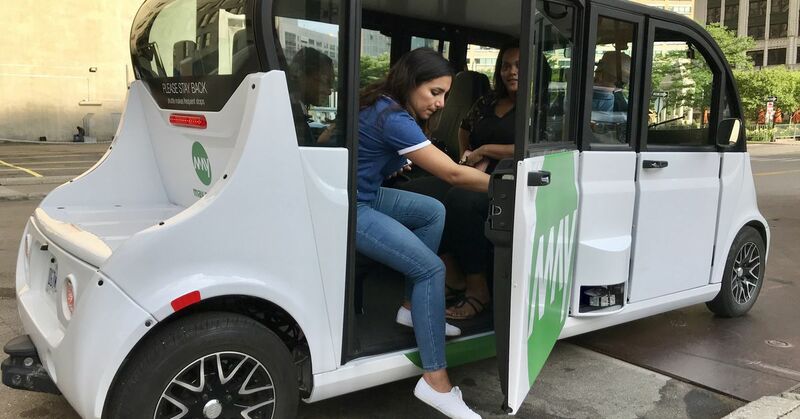 Other companies are developing shuttles and other types of pods that work, Self-driving pods are slow, boring, and weird-looking — and that’s a good thing. It seems to me that there hasn’t really been a discussion about what would benefit society. Companies will invest in where they see economic opportunity; but what should we as a society do with such technology? At the moment the technology seems to be used either in luxury cars to provide assistance to the driver or imagined to replace taxi and Uber drivers. What will happen to these drivers?